The best teacher your child will have is YOU. Color activities are everywhere! 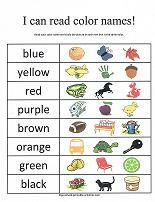 There are so many opportunities during the normal course of a day to teach colors. When you are getting a child dressed in the morning, mention the color of their clothes. What color are the breakfast foods you are serving? What color are their toys? The grass? The sky? 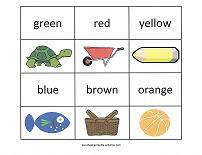 Learning colors is a significant milestone that takes time to learn. Concentrate on one or two colors at a time... and soon enough your child will be telling you the color of items. 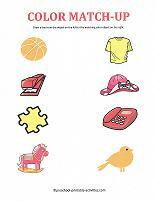 How about playing bingo with a cut and paste activity? 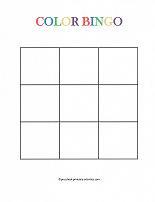 Simply have the children cut out the color pictures (or give the pre-cut pictures to younger kids) and let them paste the pictures of their choice, in any order, on the bingo board. Each child will have two pictures left over. 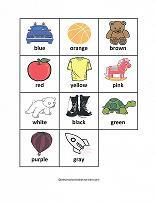 Make a copy of the color pictures for the bingo "caller". Three in a row wins! 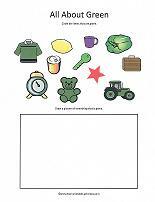 For help learning specific colors, these worksheets will have the kids circle the items that are a particular color. At the bottom of each page is a box for them to draw something that is the same color. 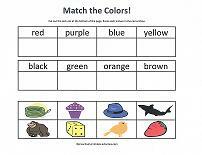 Color match-up worksheets are easily understood by little ones. Simply draw a line from the object on the left side to the matching color object on the right. 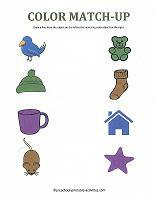 Little readers will have fun with this match game. 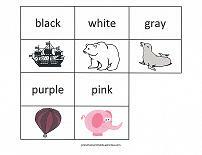 Match the spelling of the word with the picture of the same color. Print on card-stock paper and laminate for durability. 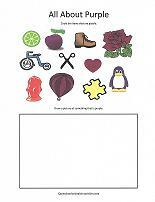 Try a fun cut and paste activity. Cut out the pictures at the bottom of the page. Paste each picture under the spelling of the same color. 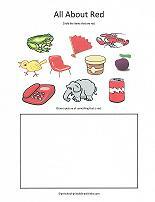 A worksheet perfect for those kids who are learning to read. Read the color name in each row and circle the item that is the same color. 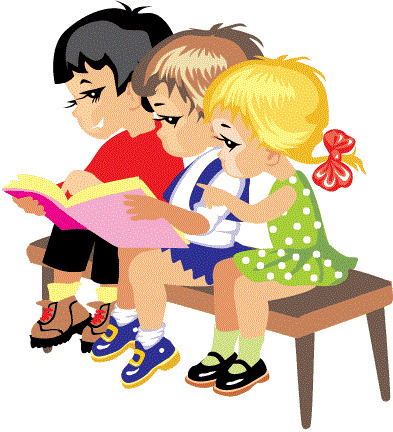 The following coloring pages are perfect for reinforcing the spelling of the color names. 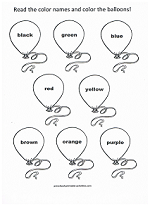 Simply read the color names and color accordingly. 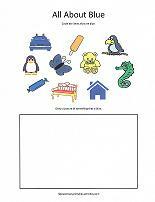 Color-By-Number Coloring Pages - Kid friendly pictures for children's coloring fun. 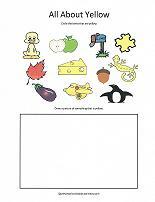 Color Worksheets - assorted activity pages for learning colors and color name recognition. 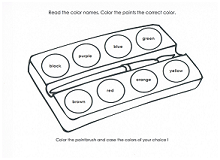 Color Flip Book - An easy to make flip-book for learning colors. All you need is a mini-photo album and the free printables. 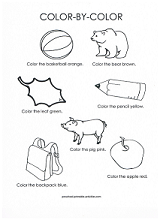 Colors Coloring Pages - Worksheets for each color, with several items that are typically a particular color. Only one crayon needed per page! Graph Art - A fun way to color-by-number. Preschoolers see graph art as "magic"pictures. 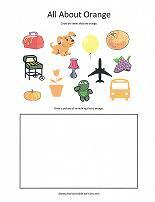 Watch the picture form as you color!